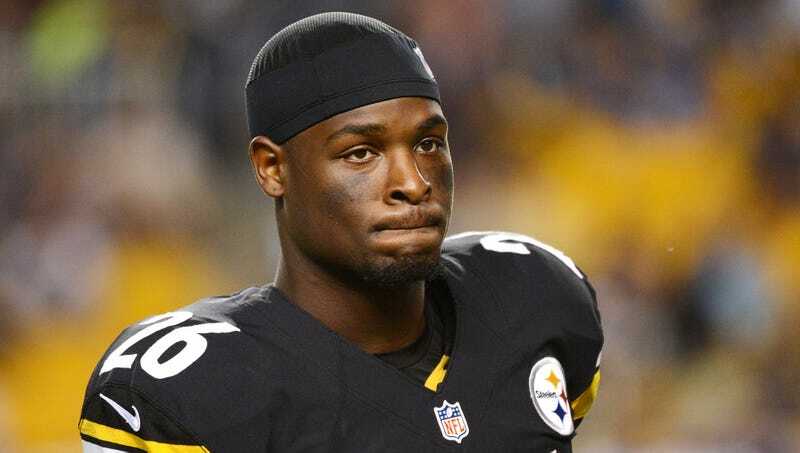 PITTSBURGH—Breaking down while discussing the horrible condition behind his absence, an emotional Le’Veon Bell revealed to reporters Tuesday that his ongoing holdout was a result of forgetting how to run. “People are attacking me, saying this is about greed or ego, but the truth is I’ve completely blanked on how to move forward rapidly,” said a tearful Bell, who claimed he first discovered the problem during a private workout when, after a handoff, he found himself paralyzed by fear and confusion, unable to advance the ball down the field even without defenders blocking him. “I want to be out there competing with my teammates, but every time I try to run, I end up tripping, walking backwards, or just spinning in circles. Trying to overcome this and learn how to move my feet in quick succession again has been the most painful struggle of my career.” Bell added that he was committed to the team and was working with forward-movement specialists to return as quickly as possible.